Downhole tools are no simple task. Some would equate them to designing for outer space. As engineers, we can neither see nor touch the tools in their working environments. 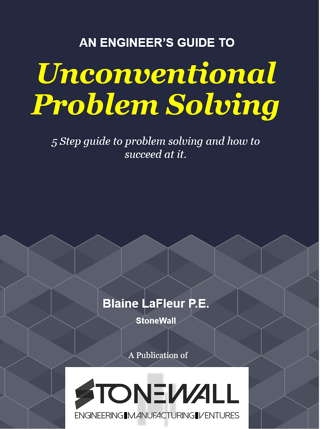 This creates unique issues that require an unconventional problem solving approach. Below is the 5 step approach we use to solve downhole tool engineering problems. You can also download our free ebook, which expands on our approach. Need help with the right questions to ask? Download our free guide here! You cannot possibly be fully competent in all aspects of the process. Knowing about is not the same thing is knowing how! As engineers, we have a tendency to distract ourselves with useless calculations, or problems, that don't matter. What constitutes a problem for one person may not even be seen by another. Why do we always start with the solution? Why wouldn’t we attempt failure first? When did we decide failure was a bad thing? How to fail fast? Download your free guide here! Being in your comfort zone eliminates the need for thinking. Want to build your problem solving competency in downhole tool design?